Stealth recording is made easy with our new line of our Self-Recording Spy Cameras and Digital Video Recorders. The camera is activated by motion detection. The camera records 1 minute video clips onto a removeable Micro SD card inside the unit. The recorded video has a Time/Date stamp, displaying the time and date that the video was created. ~ All of the original functions of the sony clock work, except AM channels. 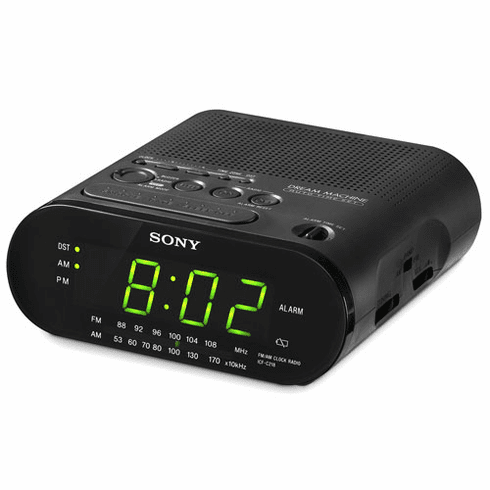 ~ The camera and recorder are powered by the sony clock ’s own power cord.